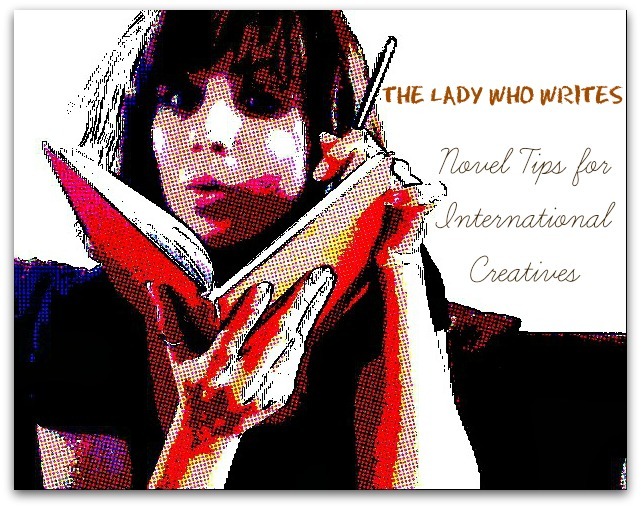 Today we welcome back Meagan Adele Lopez, aka The Lady Who Writes—a repeat expat in the UK (she now lives in London). Besides writing, her talents include acting, blogging (during her first UK stint, she kept the blog “The Lady Who Lunches”), and crafting ads for social media. In this monthly column, Meagan is doling out advice to international creatives who are contemplating writing a novel about their novel, shall we say, life experiences. Hello again, Displaced Nationers—especially those of you who identify as wannabe novelists, similar to my own situation several years ago. Maybe you recognize the following scenario. You are sitting down to write the novel that you’ve been dreaming about writing for years, which will in some way be based on the exotic life you have lived as an expat or overseas adventurer. You know, the one that will win you the Pulitzer Prize, make you famous, and have some currently unknown actor playing a part that will change his life forever in the film version of your book. You know this because you’ve played it all out a gazillion times in your head. I’m not here to tell you that won’t happen. Because it could, and dreams are extremely important to have. There are too many nay sayers out there, and I will not be one of them. If E.L. James, Stephenie Meyer and J.K. Rowling can do it, then why the heck can’t you? What I am here to say is that you better love your idea. No. Actually, you better be close to obsessed with your idea, and the world you’re about to paint, and the characters you are about to give oxygen to—because they will take over your life. Hey, you’re planning on having sequels and a huge following? Then loving this idea is almost an understatement. I know too many authors who write what they think will make them famous; or what they think is really popular on the market right now; or about this newspaper article that seemed like it would make a good detective story. And there are plenty of writers who make a living out of writing trendy stories. In my opinion, it’s a waste of time. I don’t want to read from an author who isn’t interested in his own story, and why would you want to commit the next year of your life to something you’re only half-interested in? If anything, it will slow you down, weigh you down, and potentially turn you off from the whole novel-writing exercise, never to return again. Writing is laborious. Creativity is maybe 20 percent of the craft (and I am probably being generous here). The rest is hours upon hours of digging through your writing for discrepancies in the storyline, editing, and finding inconsistencies in character developments. If this is your first novel, you would be lucky to have an editor who will do all of that for you (and I do recommend you hire one for the final cuts). This will be your baby that you will need to make perfect before you send it off to any agencies, publishing houses, or even to your beta readers (if you decide to self-publish). Displaced Nationers, I know how much you enjoy seeking out new food experiences on your travels, but how do you feel about your characters sitting with you at the table? You will be hard pressed to find a successful fiction writer who doesn’t eat breakfast, lunch and dinner with their characters, and then dream about them. Before you start writing your novel, ask yourself: Do I want to spend the next year eating breakfast, lunch, dinner and dreaming about these people’s lives you’re about to create? Meagan Adele Lopez grew up in the U.S. with a Cuban-born father and American mother, and at one time enjoyed an acting/casting career in Hollywood, something you can detect in the beautiful trailer for her novel, Three Questions. Her day job these days is in social media advertising. To learn more about Meagan, go to her personal site. I’m wondering, how did you feel about Del and Guy, the two main characters in your debut novel, Three Questions. For those who aren’t aware, they are a cross-cultural couple who separate after they meet–he, a Brit, goes off to the depths of Africa while she, an American, goes off to seek her fame and fortune in Hollywood. I recall from the interview you did with us that Del and Guy are based, to some extent, on your own relationship with a Brit. Did that help in terms of “living” with them for a year–or did dining with them so often get tiresome after a while? How much of this month’s advice is based on your experience? Hi ML – that’s a great question. When I was writing the characters, I actually don’t ever remember a time when it got tiresome. For me, writing characters is the most fun because you get to create people that might “exist” in a time, space, location but when you are writing them – they are all yours. So, I try to write them as realistically as possible, while exaggerating all my favorite characteristics in them. I would love to have dinner with most of my characters. When I finished writing I found myself wondering how they were doing weeks later as I was so used to living with them. I would like to see how their lives turned out. The ever cheerful barefoot Carmen would be fun to talk to. Even the minors ones, like the quiet Colombian foreman, the good natured doctor who treated many who could not afford it for free, and jovial Felipe the father-in-law. Cinda — I love your attitude! Whereas I would be worried that my characters would give me indigestion, you have found that you actually miss them. And I agree, the characters in your debut novel, A Place in the World, which we featured this past October on this site, were lovely–except for Alicia’s ex. I have to admit, I wasn’t so fond of him! Well Jorge had his problems…! Hi Cinda! That is lovely, and your characters sound so interesting. I guess the amazing thing about being a writer is that you can always write how their lives will turn out. we have that power. It’s pretty awesome. Hola Meagan – I so enjoyed this post as a fellow writer and expat!